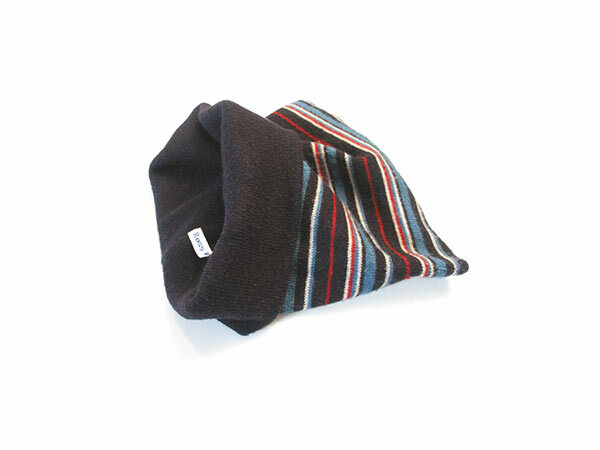 A hat with a name tag neatly sewn in to it bearing the name ROSS WILLERTON was found on a street in Bristol, England. 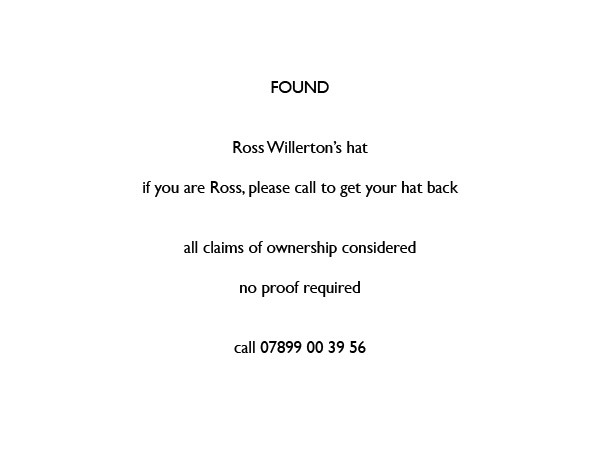 With a desire to reunite Ross with his hat, a found property notice was published along with a telephone claims line. This was later followed with an online publicity campaign and an email claims portal. Claims were received from Ross Willertons (or people purporting to be him) from as far afield as Texas, USA and Toronto, Canada as well as Spain, Portugal, France and all across the UK. Over 100 claims were received over the two active years of the campaign. Undecided upon a claimant, Ross' hat still remains in my possession.